The Wheeler Delta Series AR Bolt Catch Installation Punch Kit will help get your next build off the ground by starting bolt catch roll pins in a snap. 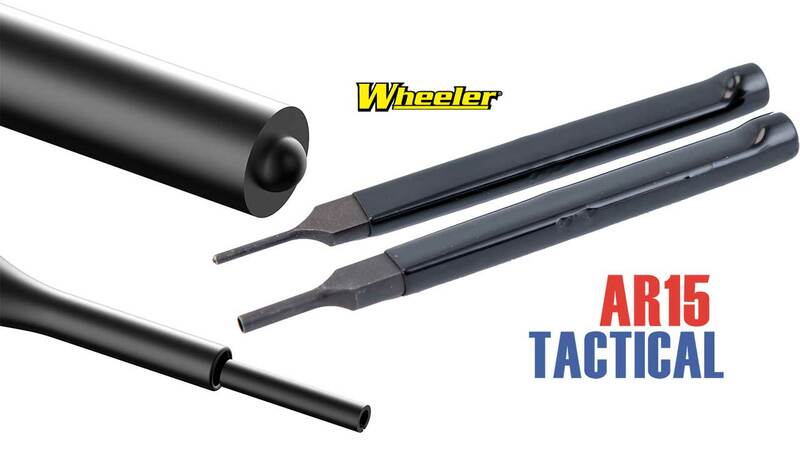 The Wheeler Engineering AR-15 Punch Kit includes everything you’ll need for installing the bolt catch pin. The kit includes a starter punch and a finishing punch which are rubber coated to help prevent scratching your lower receiver. The Delta Series punch kit from Wheeler Engineering is designed to make the installation of the bolt catch pin a breeze. Durable and quality to ensure long life, the Delta Series AR Bolt Catch Installation Punch Kit also helps you add that finishing touch to your build by helping you seat the pins flush for a professional looking result. From start-to-finish, the AR Bolt Catch Installation Punch Kit is just the ticket for building and repairing your rifle.